Name an industry that brings in $1.2 billion in revenue each year, employs more than 4,000 people, and had a double-digit percentage of growth every year from 2007 to 2012, according to one research firm. 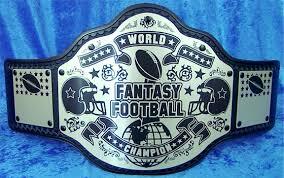 Yes, you guessed correctly if your answer was Fantasy Football! The game is a simple head to head matchup based on statistical analysis of real-life games with those of your opponent, who, given the same option may have chosen alternative players. The concept, which rewards the most knowledgeable and passionate of participants, has proved a powerful draw to fans keen to participate in the greater drama of their sport in some small way. What once started out as a simple game over head to head competition has now become a calculated game of chess full of many risks and rewards. It takes more preparation time than that of preparing for the SAT’s. Fantasy Football is a big business and the NFL players have taken notice. How much time do you spend on your fantasy preparation? Do you spend more time every year? 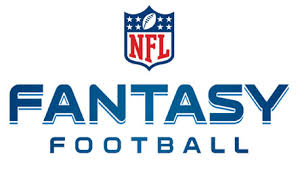 Either way fantasy football is here to stay and will continue to grow. Cheers to the game that gives us the best opportunity to be a part of the inner workings of a professional franchise. We all have dreams and it is nice to embellish in the glory of what could be every once in a while! Previous Previous post: In Chip We Trust? Next Next post: Undertaker’s Last Ride?